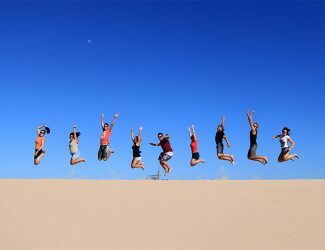 An award-winning 4WD tour company, Kimberley Wild Expeditions offer the best value tours in Western Australia. 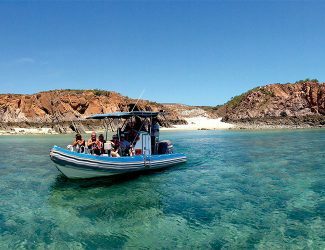 Family-owned and operated, and based in Broome WA, we explore the Kimberley and the West Coast with small groups in comfortable custom-built vehicles. From Broome Day Tours to our overland Kimberley Expeditions, travellers appreciate our guides’ local expertise and real passion for the beautiful region of Australia that we call home. 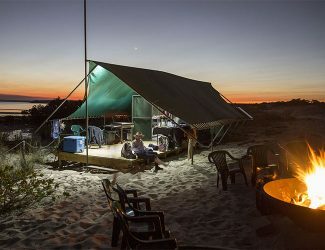 We are the only company to offer accommodation choices on our extended itineraries so that travellers can opt for a comfort level that suits you personally, yet still enjoy the grass roots experience that Kimberley Wild can provide. 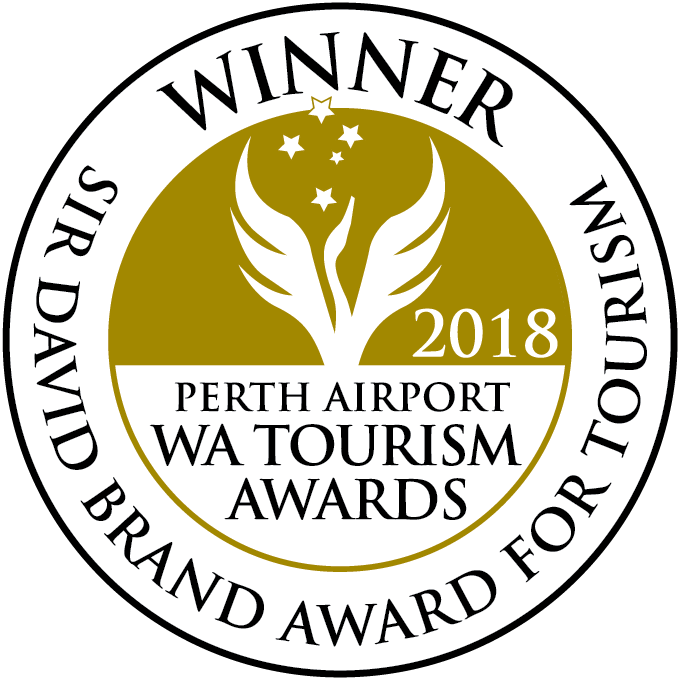 friendly Broome team on 1300 73 88 70 or email sales@kimberleywild.com.au. Click here for our current Wild Deals! 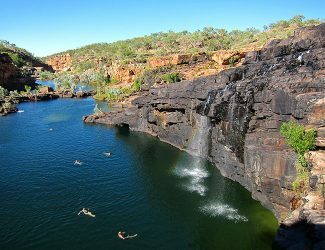 The best value adventure tours in the Kimberley. 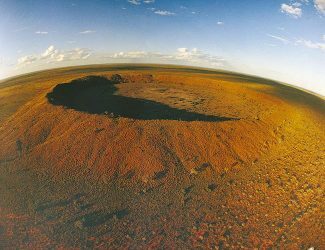 Wild Expeditions has put together itineraries which take the hassle out of travelling in remote outback Australia. Don’t miss the best local experiences while you are comfortable, well fed and informed. 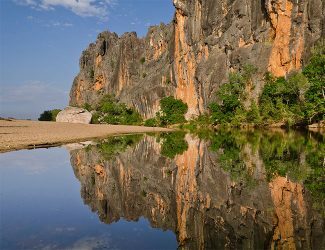 We include some incredible Aboriginal experiences on our tours: indigenous guides provide a privileged local insight into Mimbi Caves, Tunnel Creek, One Arm Point, Kakadu and Katherine. When planning your adventure, enjoy the assistance and support of our team – local people who live and work in the areas we operate in. It’s our backyard and we love to share it with our travellers! Enjoy the expertise of our experienced, well-trained and passionate Tour Guides. 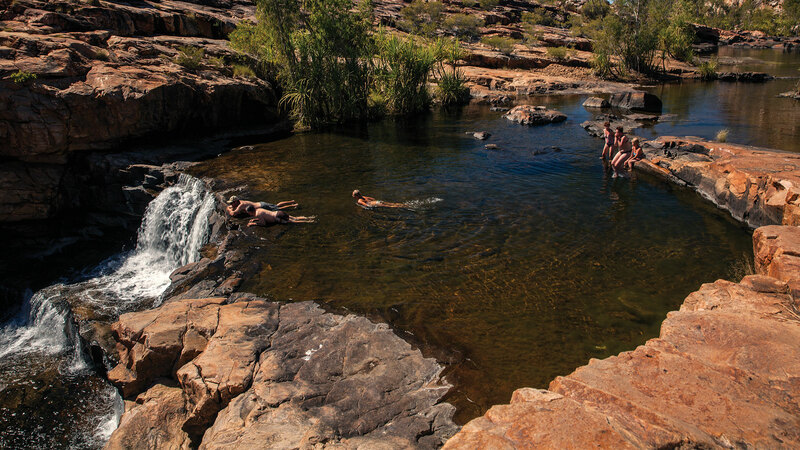 With 2 staff on many of our overland KImberley Expeditions, you’re sure to have a great trip. 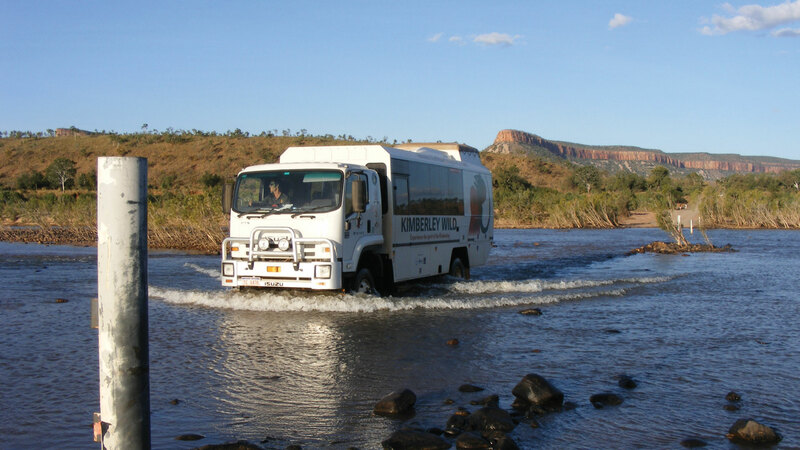 Our fleet of comfortable touring vehicles – mostly 4WD – are robust and custom-built, specially designed for the local conditions of the remote outback terrain we love to explore. 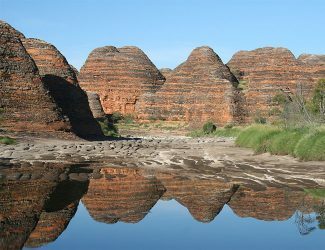 Why is our 13 Day Kimberley Explorer so popular as the #1 choice? 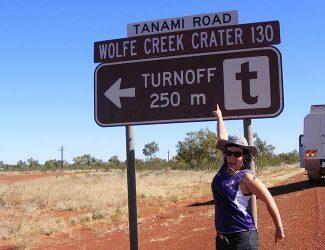 On the 13 Day Kimberley Explorer you will enjoy the guidance of one of our expert professional Kimberley Tour Guides and the support of a delightful Tour Host*. 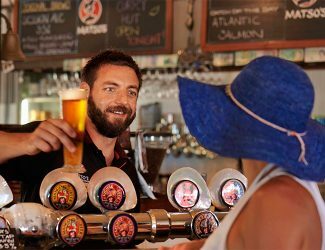 The tour remains participatory – we all team together as though we are travelling with a group of friends – but two staff on tour provides our travellers with extra support and reassurance. 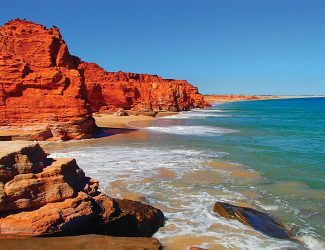 The 13 Day Kimberley Explorer is the only tour in the Kimberley that explores both the remote Dampier Peninsula – a stunning coastline that is not to be missed while visiting the Kimberley! 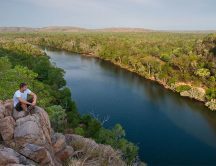 – and the Gibb River Road and Kimberley Gorge Country. 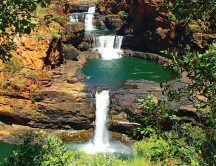 For your peace of mind when planning your trip, our 13 Day Kimberley Explorer is Guaranteed to Depart with only 2 travellers. Compare what is included in your tour price! Many of the Bonus Inclusions on our 13 Day Kimberley Explorer are offered by no other tour company, including: Indigenous Guide in Tunnel Creek, Giant Tides Cruise, Bardi Cultural Experience, Cygnet Bay Pearl Farm Tour & Geikie Gorge Cruise. 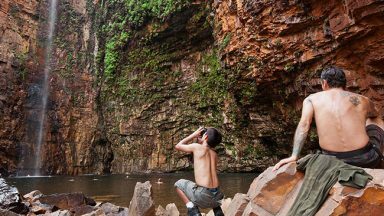 Our 13 Day Kimberley Explorer itinerary is well designed to explore the best of the Kimberley at a relaxed pace, with three two-night stays enroute: Manning Gorge, El Questro & the Bungle Bungles. 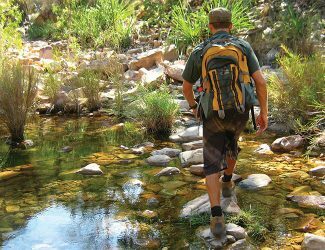 There are still a few early starts – to reach the waterfalls before other travellers and avoid walking in the heat of the day – but two night stays provide the opportunity to settle in and get out and about on foot! James and Jen have been operating Kimberley Wild for over ten years. 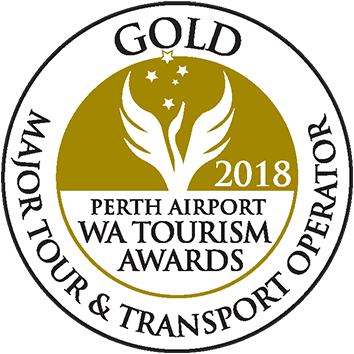 From their home in Broome, they are passionate about exploring Western Australia and ensuring our adventure tours highlight the best of the region and exceed the expectations of our travellers. Click Here to find out more - and Book Online! 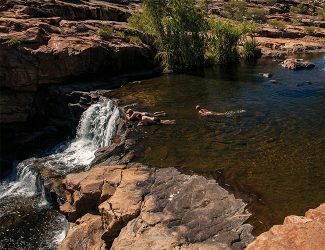 Lock in your extended adventure in the Kimberley for 2019 for a mere $1 deposit! 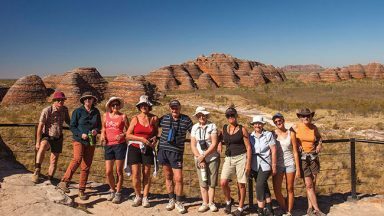 Check out our 2019 Kimberley Wild Expeditions. Last Minute Wild Deals – 20% OFF! Suddenly feel the need to escape from the office and explore one of the most beautiful parts of Australia? Check out our Last Minute Wild Deals. Travel with friends and SAVE $! Catching up with friends is great fun – whether they live around the corner or on the other side of the world. 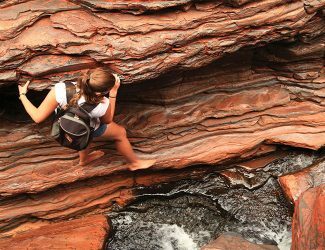 Have you ever thought about talking on a Kimberley adventure together? 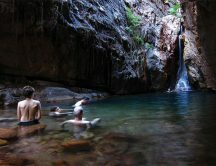 Your next dinner party could be round a camp fire under a billion stars, and your next group workout could be trekking to Manning Falls. 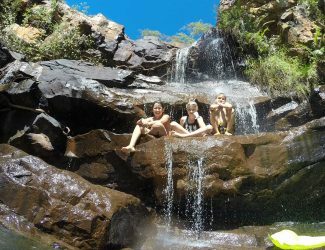 Kimberley Wild is offering a group booking discount of 10% OFF when you get a group of six or more and choose to embark on the adventure of a lifetime together. *Conditions Apply Simply book online using the Promotional Code #FRIENDS or email our friendly Reservations staff to help coordinate. We value our past Kimberley Wild travellers and are pleased to reward them with a special offer of two FREE nights in the Kimberley Travellers Lodge with every Return Traveller booking of a tour that is 9 days or more in length. This accommodation offer can be booked for the two nights prior to your trip, or the two nights after your trip is completed. *Conditions Apply Simply book online using the Promotional Code #RETURN or email our friendly Reservations staff . 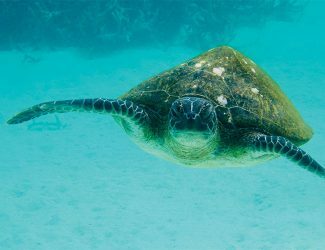 ** Over $500 of BONUS INCLUSIONS ** Including… the Giant Tides Cruise (valued at $195pp), Geikie Gorge Cruise, Cygnet Bay Pearl Farm Tour, local indigenous guides and unique private Safari Camps, exclusive to Kimberley Wild travellers. Click on the Tour Style and then the Itinerary for inspiration and detail.